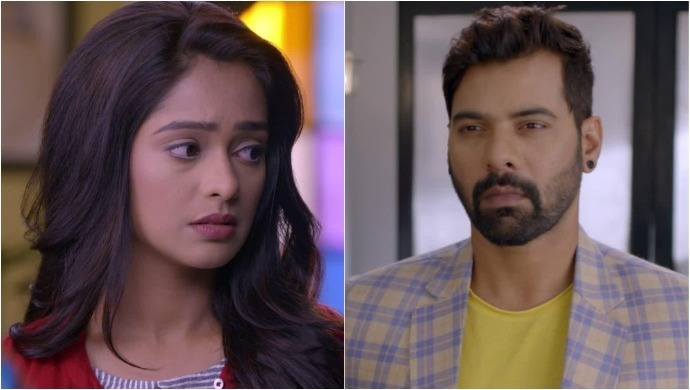 Kumkum Bhagya 21 March 2019 Preview: Prachi Gets Kicked Out Of Abhi’s Awards Function? In the promo of upcoming Kumkum Bhagya episode, Prachi tries to find the man who stole her bags at Abhi's awards show. However, she gets kicked out. In the latest episode of Kumkum Bhagya, we saw that Prachi gets a scholarship and after much convincing, Pragya sends her to Delhi. However, she is worried about Prachi meeting Abhi while she is away. But Prachi thinks her father is responsible for her mother’s problems and worries and wishes to never meet him. But she does, and Abhi almost runs her over with his car. He scolds her and asks her to be safe. Prachi thanks Abhi for saving his life. In the promo of the upcoming episode, we see that Prachi is seen arguing with the security guard at Abhi’s awards function. She tries to tell him that the man who stole their bags was seen entering the venue. But the guard pushes her away and just then Abhi enters the place. Prachi falls on Abhi.